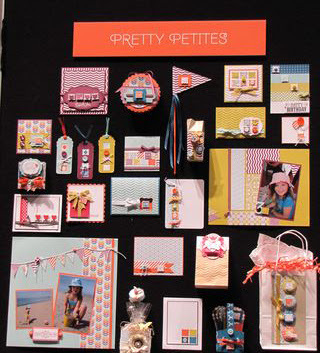 I wanted to share these pictures of display boards from Stampin' Up's Leadership Event. 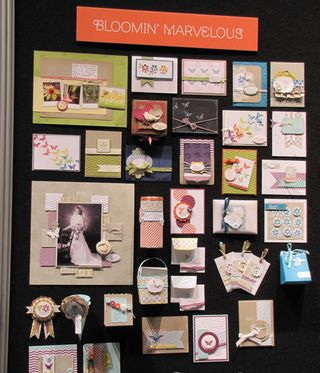 I didn't have a chance to go, so I love to see the display boards for ideas! 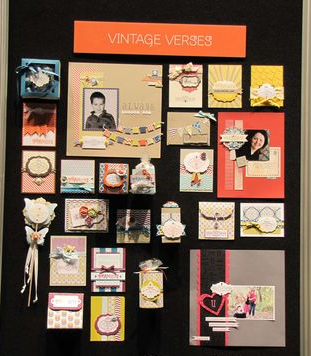 These boards feature 4 of the Sale-a-Bration FREE stamp sets. I know they're blurry, but I got them from a friend, who got them from a friend; I don't know who the photographer was. 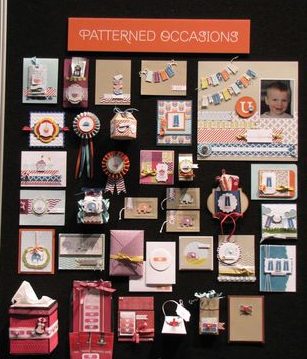 I just like to see the samples and I hope you do too - have a great day!